Oby's Blog: Rotimi Amaechi- "There is no morality in governance. If you want to be moral, go to church"
Rotimi Amaechi- "There is no morality in governance. 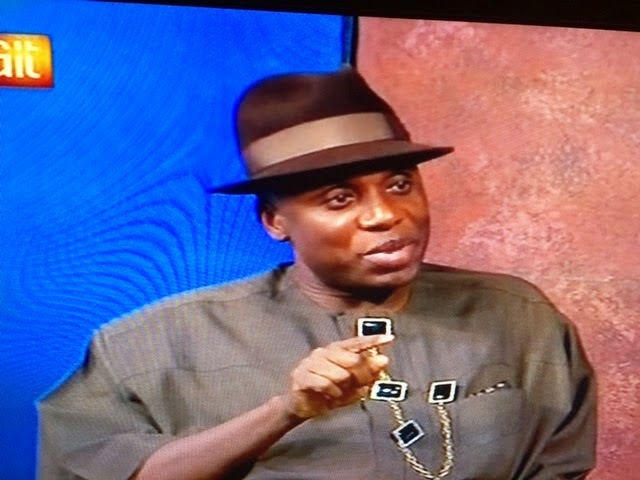 If you want to be moral, go to church"
The Governor of Rivers state Rotimi Amaechi was a guest on AIT's Focus Nigeria this morning where he talked about a lot of things including his reservations about President Jonathan... "I respect the president as a person. He is a gentle man, he is a good man but there is no morality in governance. There is no goodness in governance. If you want to be moral or want to be a good man, go to church. Right there when it comes to governance, its about the people. It is about delivering to the people. It is about competence. It is about your ability to perform. So when you look at the President and you say he is a gentle man, you should also look at somebody in terms of performance. But even those who say he is a good man, what about the fact that you can compare his government to Abacha's government. What is the difference? TAN singing everywhere one million man match, can you compare the two?"